Since our start in 1994, Tope’s Texas Car Care has been a family-owned business dedicated to our customers. From offering the latest technology to full-service repair and maintenance, we strive to be a better alternative to local dealerships. 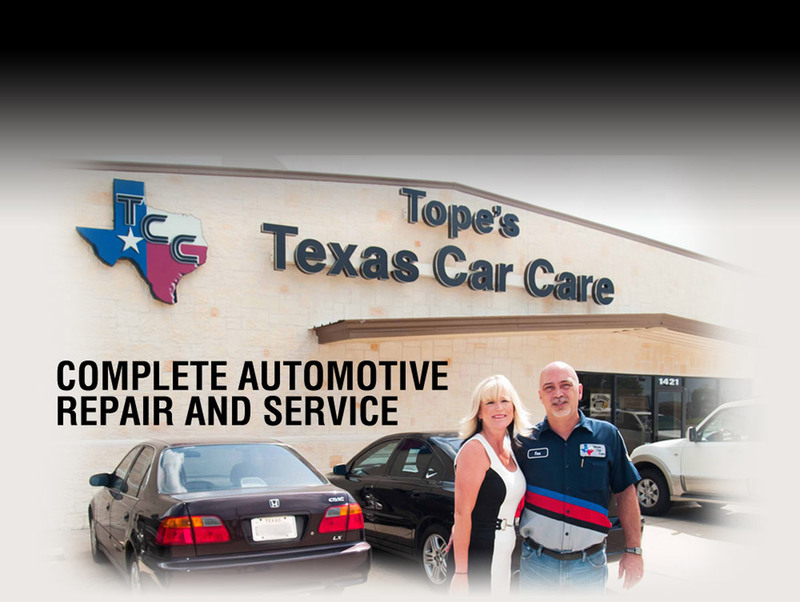 At Tope’s Texas Car Care, we are dedicated to our customers. It is our mission to provide our customers with the highest standard of customer service and car maintenance. We impose strict ethical standards on our employees and promise to offer you honest and fair services.